Colouring hair is trending for many years now. If anyone wants to make your dull hair look good or you want to cover your gray hairs, hair colouring is the coolest option available. Colouring hair is becoming more stylish and creative day by day. Hair stylists are coming up with new ideas every time. Also, there are lots of delightful and vibrant hair colours available in the market. However, there is one problem with some of these colours, that is, the existence of harmful chemicals. Now, the challenge is how to choose the right hair colour which does not harm the hair quality. One of the most popular hair colour is burgundy. Burgundy colour is a reddish brown shade. Many times this colour is associated with the wine colour. There is a whole range of burgundy hair colour available in the market, including cabernet, merlot, cranberry, cordovan, maroon, claret etc. These rich shades of burgundy are capable to bring back life to your boring hair. Also, if hair colouring is done in the right way with these shades, it can make your hair look like having more volume than before. Sometimes, different shades or tones of burgundy are mixed to create multi-dimensional and dramatic looks. However, the question remains the same, which is whether these hair colours are safe to use for healthy hair or not. The answer is yes, some of the brands provide harmless chemical free hair colours including burgundy, such as hair colours with no ammonia which can give you a funky look without damaging your hair. Not only women, but also men are interested in colouring their hair to look cool and trendy. Just like women, men are experimenting with their hair by changing their hairstyles and hair colour. 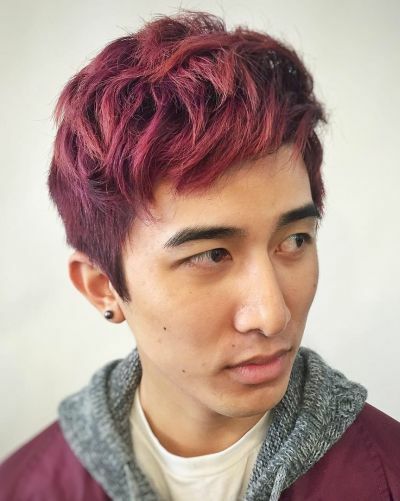 One of the most preferred hair colour by men is burgundy. Burgundy hair colour for men enriches their hair with their desired shade. Along with the unique looks, this rick hair colour can also protect the hair from dust and sunlight and brings back the natural shiny hair. If the colouring is done in the right way, it can make the hair of men look healthy and voluminous. However, all of the shades of burgundy colour is not suitable for everyone. For the best results, the right shade needs to be chosen according to the skin tone. 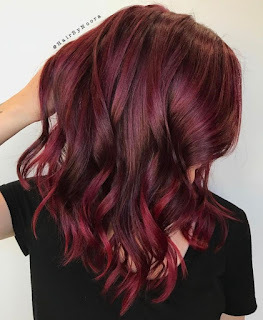 For an, example, warn burgundy hair colours which have more brownish tones than the other burgundy shades are more suitable for golden or peachy skin complexions than other skin tones. However, for all the skin tones, some shades of burgundy hair colours is appropriate. Using the burgundy colour on the hair is not as easy as using any other colours. Sometimes, to make the perfect colour suitable for the skin complexion or to achieve the perfect texture, multiple shades need to be mixed. Also, professionalism is required to understand which sections of the hair need to be coloured in order to create the perfect dramatic hairstyles suitable for different skin tones. 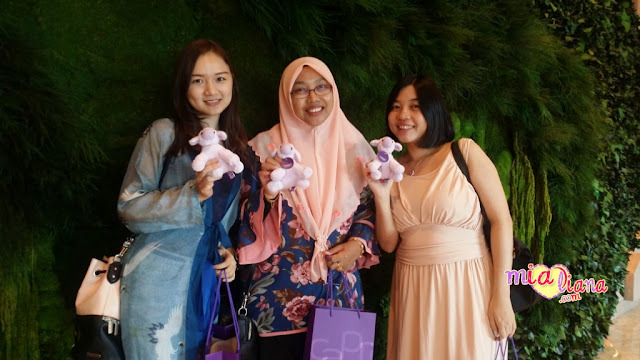 dulu kita suka warna burgundy ni..pernah jugak berangan nak rambut kaler ni masa sekolah sebab ada kawan sekolah non muslim warnakan rambut dia kaler ni..
Dulu pernah cuba walau warna lain tapi dululah.. hehehe..